TIME: Bar from 6.30pm. Films from 7pm – 9.30pm. VENUE: Storey Hall (RMIT), 342-344 Swanston St, Melbourne. TICKETS: Suggested donation: $8 conc & students/ $15 waged. There are no online sales. Tickets available at the door. There will be plenty of room. Sorry, cash only sales on the night (there are ATMs available next door). All proceeds go to support the climate campaigns of Friends of the Earth. Previous years have supported the successful campaign to gain the ban on fracking in the state and the campaign for a Victorian Renewable Energy Target (VRET). This year it will support our campaign to stop the development of offshore oil and gas exploration in western Victoria. Beyond the tale of his frosted beard, this is a story about Dan Schetter’s passion for surfing on Lake Superior in the depths of winter, and how he credits the sport to saving his life. If you would like to go on the announce list for the 2019 screenings please email Cam: cam.walker@foe.org.au with ‘BC film festival’ and your state in the subject line. The backcountry film festival is going to be great this year. We have shows in Melbourne (May 9), Sydney (April 21), Jindabyne (July 7) and Canberra (July 25). Details on each of these shows are posted below. Scroll down for details on show dates and locations plus the films that are being shown in the 2018 season. If you’re here looking for details on the Backcountry skiing and riding festival, being held at Falls Creek on September 1 and 2, 2018, please check the festival website here. 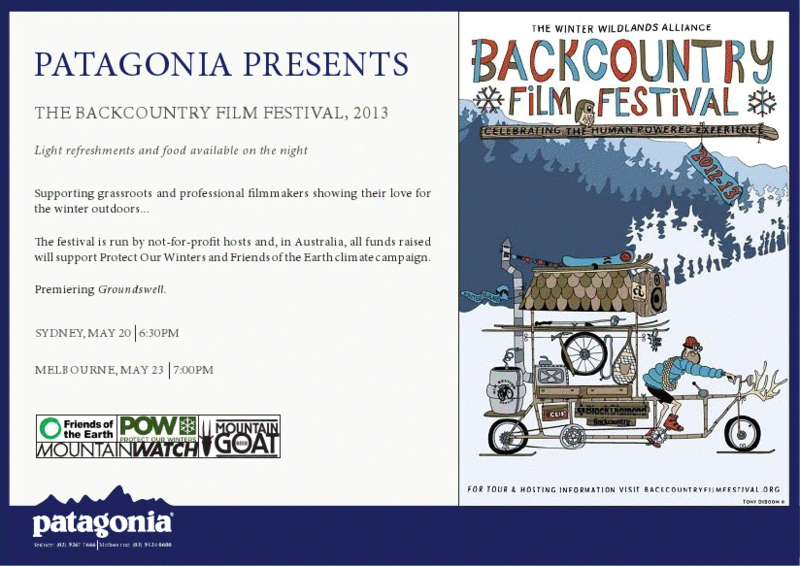 You will find details on contributing a film to the Australian made backcountry film festival, being held in Falls Creek on the evening of September 1 here. There is a great line up of films, eight in total, covering a range of continents and aspects of backcountry skiing/ riding and snow culture. And to go on the mailing list for upcoming shows, please mail me with ‘BC Film festival’ in the subject line. Wednesday, July 25 at 6 PM – 9 PM. Tickets can be reserved for FREE but entry is by donation to the Mountain Critter Cause at the door. Check here for full details and to book tickets. Suggested donation: $8 conc & students/ $15 waged. Thanks to everyone who came along to the show. 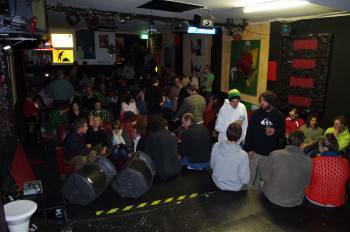 We had around 180 people and raised almost $2,100 for the climate campaign (Thanks!). May 9. 7pm – 9.30pm. 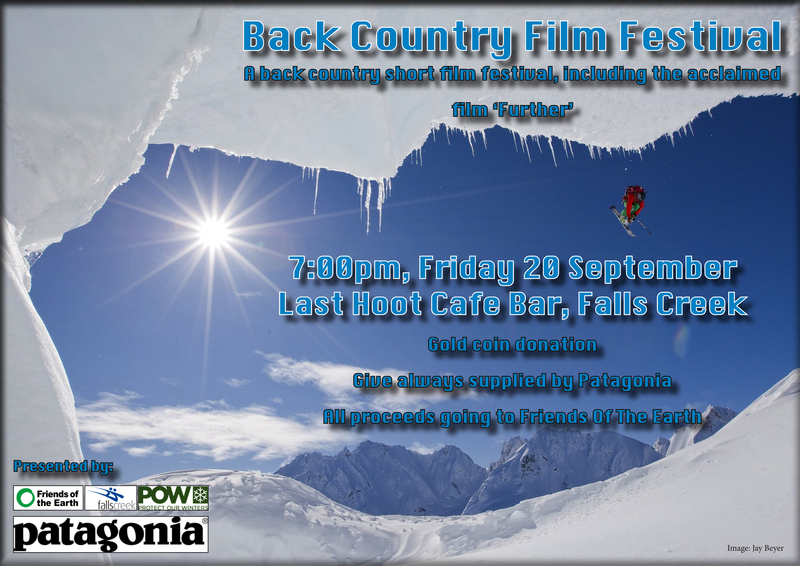 In keeping with our tradition of showing an Australian backcountry film at the start of the program, this year we have a great short production about a late season mission in 2016 to ski Mt Townsend on the Main Range of the Snowy Mountains. With the Australian ski season coming to the end, I joined Australian sisters and pro skiers, Anna and Nat Segal, for one last push for the hills. Filmed in October last year, Mount Townsend 2209 follows Anna and Nat as they spend five days camping and touring together under the peak of Mount Townsend, together with their American/Canadian skier friend, Holly Walker. The sisters’ mission was to nut out a plan for their upcoming ski film, Finding the Line and they felt Mount Townsend was no better place to do so. This year we will highlight some awesome Australian short films set in the backcountry of Kosciuszko and the Victorian Alps. Celebrate human endeavour in the backcountry, wild Australian and overseas landscapes and settle in for a great night. Tickets are $16/ $24. You can book tickets here. A facebook page for the event is available here. We’re very glad to be able to announce details on the 2017 program. There are shows locked in for Melbourne (May 30) and Sydney (July 26). For details on the showing at Harrietville on August 31, please check here. Following on from our screening last year, this year we are having an intimate screening of the Winter Wildlands, 2017, Backcountry Film Festival at the McMahons Point Community Hall, 165 Blues Point Rd, McMahons Point, on Wednesday 26, July. It is a public event open to everyone to celebrate all things snow and the human powered mountain experience. The film line-up this year is a mix of adventure, winter sports films, community based environmental films, and films of traditional cultures still using skis in the modern age. There are 9 inspiring short films. We are again generously supported by Paddy Pallin. Come along, share the excitement and fun of the night at this intimate “one-off” screening. You will have the chance to go home with some nice lucky door prizes. There will also be a fundraising raffle on the night for Friends of the Earth, Australia to help support them in the valuable work they do. Free admission to current members of the NSW Nordic Ski Club. $15 per person for non-members or join up on the night and get in free. If you missed it last year, make sure you make it this time. It will be a cosy, fun night with a great mix of inspiring films, nibbles and revelry. See you there! Purchase your tickets now! (or at the door on the night). THANKS to everyone who came to the 2017 show. We had almost 180 people attend and raised about $1,800 for the Friends of the Earth climate campaign. Thankyou to Charlotte and Mike Garrett for their film ‘The Hunt for White October’ and Mike’s comments about the value of getting kids into the backcountry. This is in the Doug McDonnell Building (blg 103), just behind the Sidney Myer Asia Centre. You can enter off Swanston Street or Grattan Street. Map available here. You don’t need to pre book, there’s plenty of room so please just show up. There is a facebook page for the event available here. Please arrive by 7pm. At 7.15, we will be showing the lovely short film ‘the Hunt for White October’, about a late season mission to Mt Loch in the Victorian high country. It will be introduced by 12 year old Charlotte, who made the film with her dad Mike. Then we will get into the BC festival program. When the lifts stop spinning in September, Hotham becomes an overnight ghost town. But from the highest winter road in Australia lies a backcountry bonanza, with lines only as limited as one’s imagination and fitness. With a plethora of terrific camping spots, it’s the perfect place to introduce kids to backcountry skiing, especially as a hasty retreat back to the car is always a possibility. The days are warmer and longer, and the spring corn can frequently be sublime. It’s no secret that kids love camping, and the evidence of the benefits of nature for their development is compelling. Learning to climb with skins improves their skiing and snow-craft, and basic themes of safety can be introduced. This October, a freak Southern Ocean “cyclone” brought floods and buckets of spring snow well after everybody had packed up and left for the beach. Charlotte Garrett will introduce this lovely 5 minute film she made with her dad Mike. Reflections. Short by Filmmaker Ben Sturgulewski (of Solitaire and Valhalla fame). Lifecycle of a Powderwhore. A story about Jonah Howell, one half of the Powderwhore Productions film company. “But it wasn’t until he borrowed his dad’s camcorder and together with his brother Jonah, started crafting ski edits of his friends that the idea occurred to him that he might be able to make a living, albeit a dirtbag one, from the ski bum way of life”. AK Girls Way. Set in Alaska, AK Girls Way features Liz Daley and Caroline Gleich. Liz is remembered as a consummate mountain guide with an infectious enthusiasm for life. There on the periphery. “Filmmaker Joel Wolpert takes us on a midwinter dream with professional trail runner Ricky Gates. For details on all films please check here. All funds raised will be used for the Friends of the Earth climate campaign. Over the past year we have helped gain a permanent ban on the process of fracking here in Victoria and helped establish the Victorian Renewable Energy Target (VRET). Funds will be used to further our work on coal, gas and energy transformation. With many thanks to the University of Melbourne Student Union for their support in hosting this event. Thanks to Wild magazine for this plug for the 2017 season. The BCFF is produced each year by the Winter Wildlands Alliance as a celebration of the human-powered experience and a gathering place for the backcountry snowsports community. Winter Wildlands Alliance is a nonprofit organization working at the national level to inspire and educate the backcountry community to protect and care for their winter landscapes. It is based in Boise, Idaho. Thanks to everyone who came along to the 2016 season. We had great nights in Melbourne and Sydney. If you would like to be notified of future events later in the year or the details on the 2017 BC festival showings, please email cam.walker@foe.org.au Thanks. We have confirmed screenings in Sydney and Melbourne.Please see below for the lineup of films and listings of the showings. There are limited places in the hall. Now in its 10th year the Winter Wildlands Alliance Backcountry Film Festival celebrates the human powered winter experience through film. The festival aims to entertain while helping to raise funds and awareness for Winter Wildlands and our like-minded partners. This is the 5th year the festival has been shown in Australia. 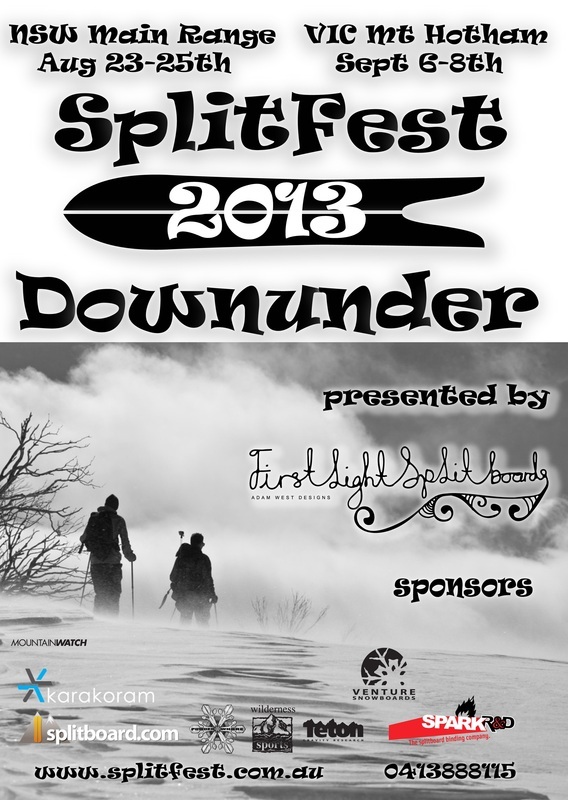 The final showing of the 2015 season will be held as part of the NSW Splitfest DownUnder , the annual split board gathering held in the Snowy Mountains. This year it will be held on weekend of the 21-23rd of August in the NSW main range. There will be T-Shirts, give a ways, raffles and loads of fun. Some of the prize categories include worst DIY job, most inventive Splitboard design etc. etc. A selection of films from the season will be shown. For the first time, the festival is coming to Canberra. 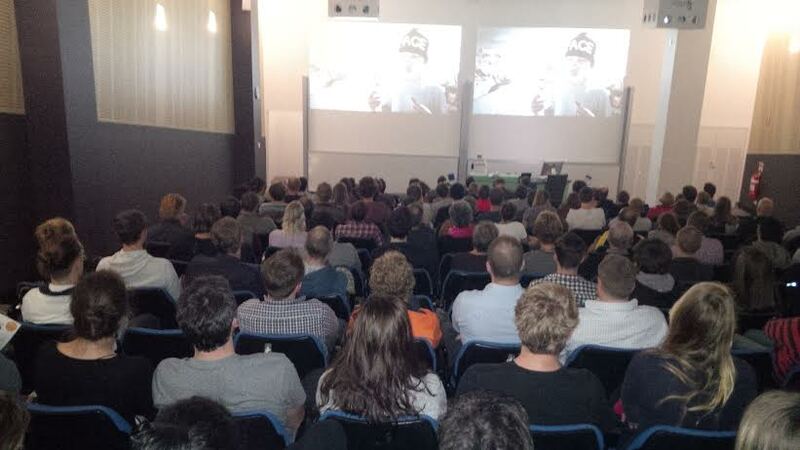 To share the excitement about human powered skiing the ANU mountain club is hosting a back country ski film night. We’ll be showing the Backcountry Film Festival put together by the Winter Wildlands Alliance. We ask for a $5 donation from students and $10 from non-students with proceeds going to the Australian Himalayan Foundation. 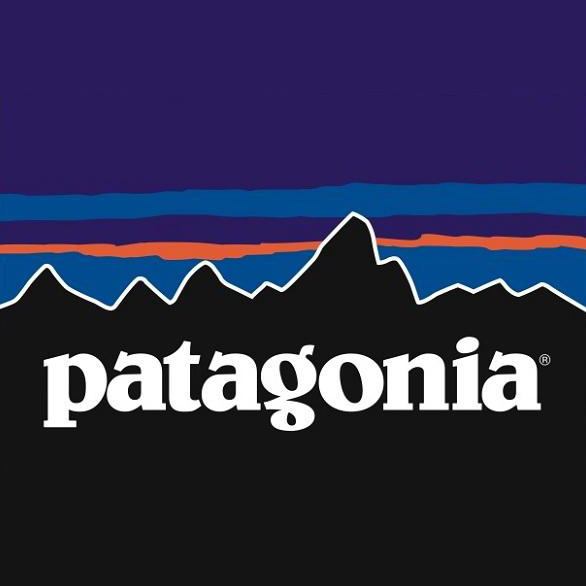 Many thanks to Rob and all the staff at Patagonia Sydney for hosting the 2015 show. We had about 140 people attend. at 6pm on Wednesday June 3. At the Patagonia store. 93 Bathurst Street, Sydney. We will be showing all nine films. Scroll down this page to get a full list of films. This is a free event. You’d be most welcome to make a donation, which will go to the Friends of the Earth climate campaign. Thanks to everyone who came along to the Melbourne show. Close to 130 people! Cinema at RMIT. Building 80. Level 1, Room 2, 445 Swanston Street. The cinema is Room 80.01.02 (It can be hard to find, best bet is to enter off A’Beckett Street, just by the Oxford Scholar Hotel (map here). Its at the bottom of the stairs. If you enter off Swanston street, head down the stairs. Building 80 is on Swanston, between Latrobe and Franklin street, opposite the main RMIT campus. Feel free to meet at the Oxford Scholar for a drink from 6.30pm. Please aim to arrive at the Cinema around 7, we will start the films at 7.15pm. There will be a 20 minute break half way through, and the films will end around 9.30pm. 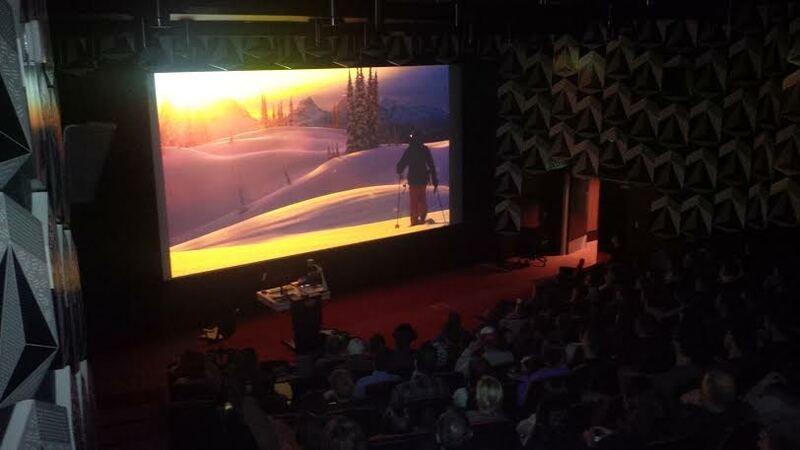 The festival will also be shown during the 2015 Splitfest (splitboarding festival) being held in the Snowy Mountains, on friday August 22 in Jindabyne. Few people are aware that backcountry Australia hides some big-mountain slopes, even less are willing to journey there for it. Yet the western slopes of the Snowy Mountains has some grand terrain for backcountry skiing and boarding. Season 2014 delivers conditions of a decade for one splitboarder. We are delighted to be showing this 8 minute film by Nicholas Rivers during the backcountry film festival this year. From the Road (21:00) Fischer Creative. From The Road is centered on a human powered ski adventure in Alaska with a diverse team of ski athletes on iconic peaks in the heart of the Chugach Mountains. Trailer available here. Afterglow (11:35) Sweetgrass Production. This visually spectacular film lights up the backcountry like never before. Backcountry Baker (5:15) Jeremy Lurgio. The story of Labrador retriever Baker and his owner as they pursue their love of mountains through backcountry skiing in Montana’s Bitterroot Mountains. Out on a Limb (6:44) T-bar Films. The story of Vasu, who’s love for skiing and the backcountry overcomes all obstacles. There is an interview with Vasu on the Wild website. 95 to Infinity (3:30) Doglotion Media. Follow brothers Andy and Mike Traslin as they clock up 95 months worth skiing. IRS Traverse (8:00) Luc Mehl. A fun and quirky adventure through the Alaskan Wilderness. Powder Pilgrimage (20:00) Joey Howell. Features the adventures of two friends as they road trip to Valdez in Alaska, a trip we should all take at least once. Sundog (5:15) Sturge Films. Capturing the dog days of skiing in Patagonia. Higher (20:00) Teton Gravity Research. 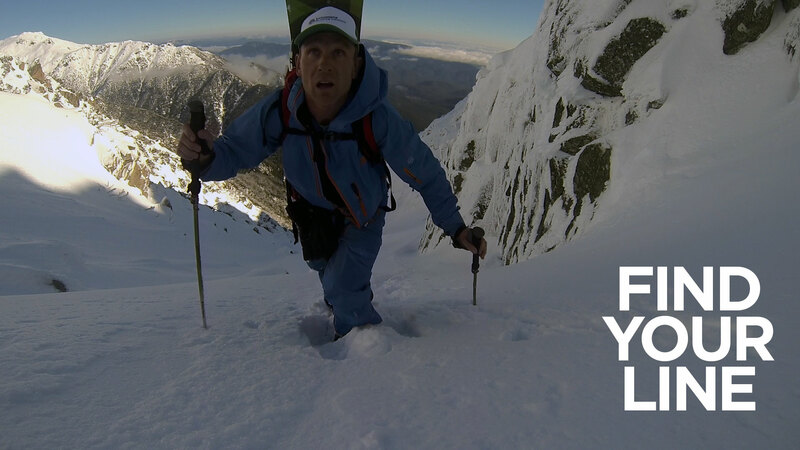 Continuing the journey of athlete Jeremy Jones as he reaches new heights. This is the third film in Jeremy’s snowboarding trilogy and features a descent of the Grand Teton in Wyoming. Check the trailer here. We will be showing all nine films. Thanks to everyone who came along to the 2014 festival in Melbourne. More than 100 people attended. 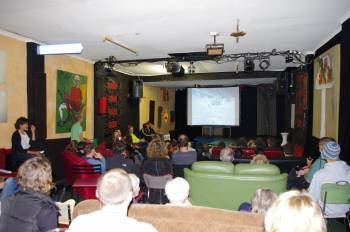 Thanks to MU Ski Club for hosting us, and to Watkin for showing the film about skiing on Mt Bogong. Stay tuned for details on winter shows at Falls Creek and Jindabyne. 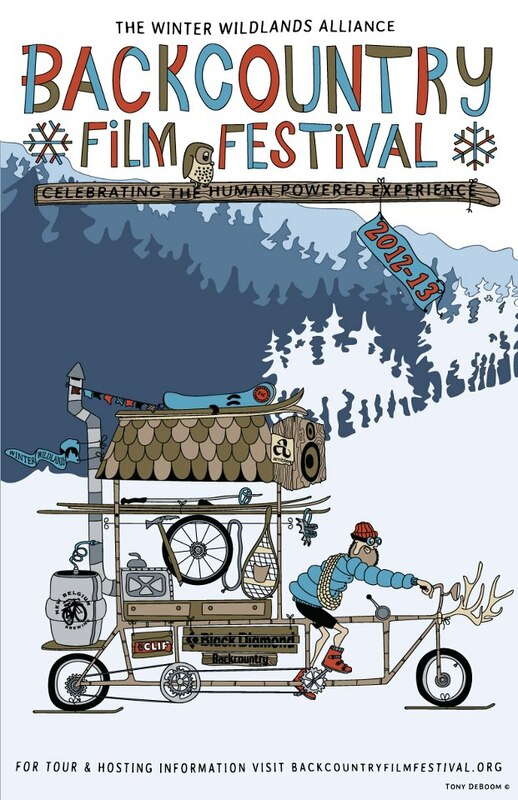 Now in its 9th year the Winter Wildlands Alliance Backcountry Film Festival celebrates the human powered winter experience through film. The festival is now a pre winter event here in Australia, in its 4th season. FBE Theatre 1, 111 Barry St (Melbourne Uni), Carlton. Between Pelham and Gratton streets, short walk from #19 and #59 trams up Elizabeth street. From 6.30pm, films start at 7pm. Suggested donation: $8 conc & students/ $12 waged. NB: please note that this year, because of the venue, we won’t have drinks for sale. Co-hosted with Melbourne University Ski Club. The festival is run by not-for-profit hosts, and in Australia, all funds raised will support the Friends of the Earth (FoE) climate campaign. Funds will go to FoE’s work with regional communities to stop the development of new coal mines and unconventional gas drilling across southern Victoria. Facebook event page here: please feel free to invite your friends. Trail Break by Powderwhore, is a beautiful black and white portrait of deep powder skiing in Utah’s Wasatch Range. Nokhoi Zeekh: In search of Wolverine. A short film about the Darhad Ski Traverse. Narrated by Rebecca Watters, the film documents a month-long ski expedition through northern Mongolia to investigate one of the world’s most iconic but least-known winter adapted species. Morning Rituals, in Jackson Hole an undercover ski bum chronicles his daily dawn patrol on Teton Pass. Presented by Chris Dickey of Orange and Purple. Youth, in the Sierra Range of California, filmmaker Corey Rich inspires us to pack up the kids and proves that backcountry skiing can be a family affair. Bolton Valley is the story of how a small Vermont community fought to save their beloved ski area. Winner of “Best Conservation Film” award. Bigger Braver, Alaska based filmmaker Luc Mehl turns the camera on a young female athlete who shares her insight into the courage and strength involved in seeking big mountain adventure. Winner of “Best Short Film” award. Strong, filmmaker and storyteller Fitz Cahall at Duct Tape then Beer reflects about moving forward after a tragic avalanche on Snoqualmie Pass. Poor Man’s Heli, in France Antoine Boisselier thinks outside the skin track and comes up with a new and unique way to the top of the mountain. From Mike Douglas at Switchback Entertainment. Valhalla from Sweetgrass Productions and winner of the 2013 “Best of Festival,” is the tale of one man’s search to rediscover the freedom of his youth. Feeling the distant heat of its fire still burning in the mountains of the frozen north, he sets out in search of those tending the flame the untamed, the wild, and the outcast dwelling on the fringe . We will be SoO Airtime‘s new film OFF GRID. This will be the premier showing. 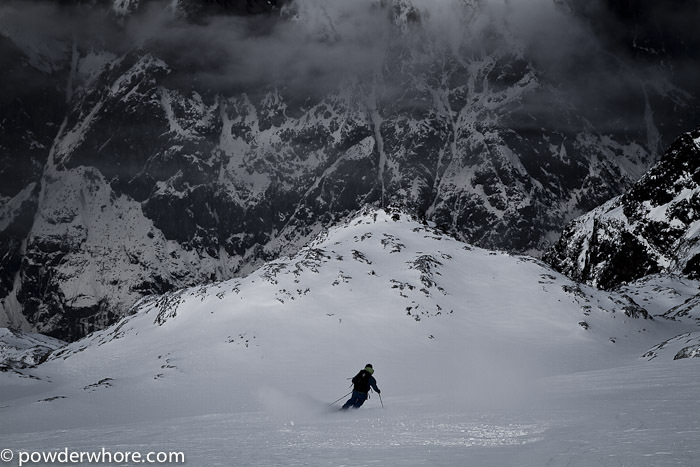 “In 2012 seven adventurous skiers explored the Australian High Country. They camped, skied and filmed across one week’. You can see the trailer here. The full film is here. We are planning to expand the BC festival this year, with shows in Melbourne and Sydney, plus a few ski towns. If you’re interested in helping organise venues in alpine resorts please get in touch. The festival will be held in May, August and September. Details below. 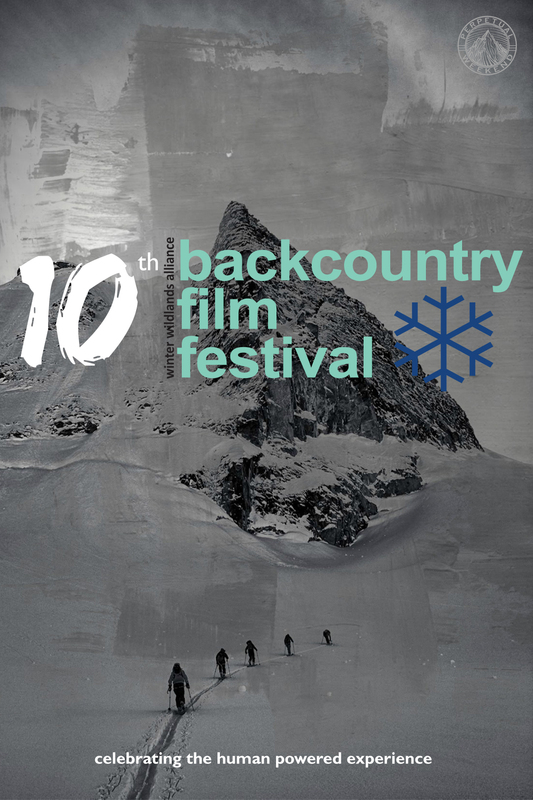 The Winter Wildlands Alliance created the Backcountry Film Festival in 2005 to help grassroots and professional filmmakers to show audiences their love of the winter outdoors. Since then, the annual festival has become something of an institution amongst many outdoor communities. The festival is now a pre winter event here in Australia. The showings are listed in chronological order, except for the most recent, which is at the top. There is one last showing for 2013 – at Falls Creek, on friday September 20. Many thanks to Brett Lemin for organising the evening, and to Falls Creek resort management for support, the Last Hoot cafe bar for hosting, and Patagonia for the give-aways. This was the biggest show yet, almost 110 people came out on a cold and rainy night. Thanks to everyone that made the effort! 7pm. Come and grab a drink and catch up. We will have a bar serving basic drinks from 7. Lots of nearby places for dinner (suggest Clarendon street for good options). 7.30. 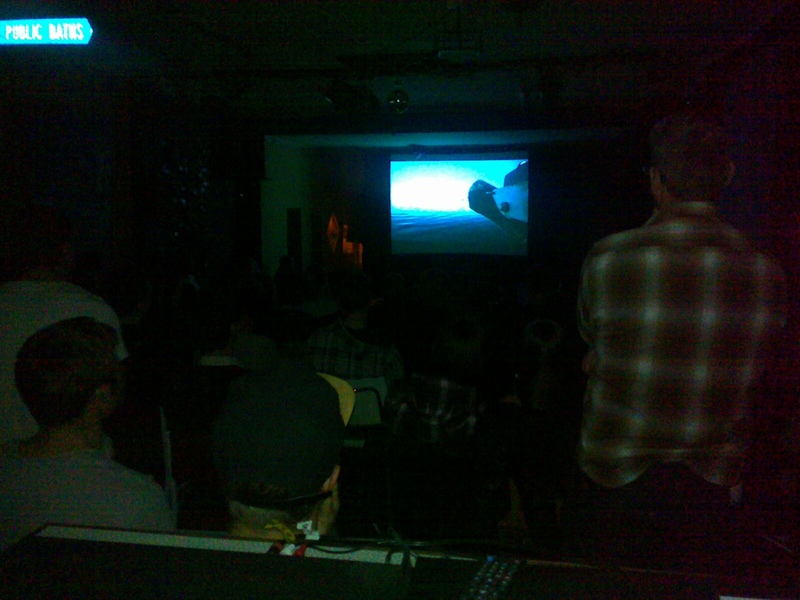 Films start, the show runs til about 10pm (with a 20 minute break in the middle). Check here for details on how to get to the Commons. Trams and the Light Rail are a few minutes walk away (#96 tram from Bourke street is a 3 minute walk if you get off at South Melbourne Market stop). Lots of parking at night. Facebook event page here, feel free to invite your friends. 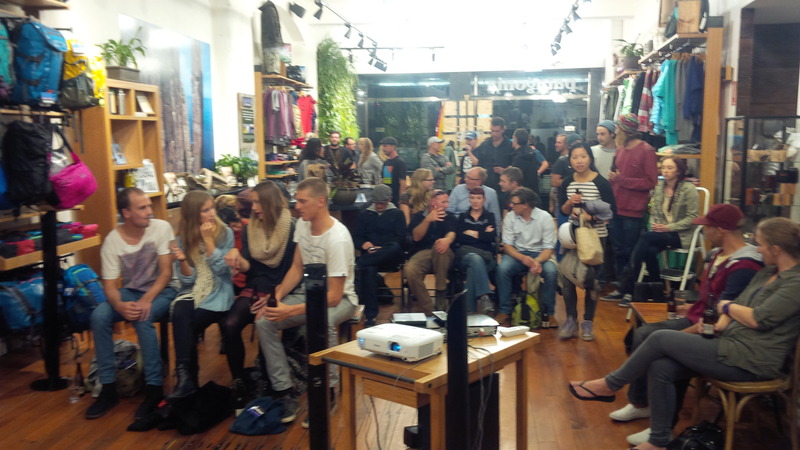 Many thanks to Patagonia for hosting this show, which included a new film supported by Patagonia, called Groundswell. It highlights the risk posed by a pipeline to a section of the coast of British Columbia, from a proposed Tar Sands pipeline and associated oil tanker traffic. We had about 50 people attend. For the first time the BC fest is coming to Sydney. It will be held on Monday May 20. See the poster for location details. 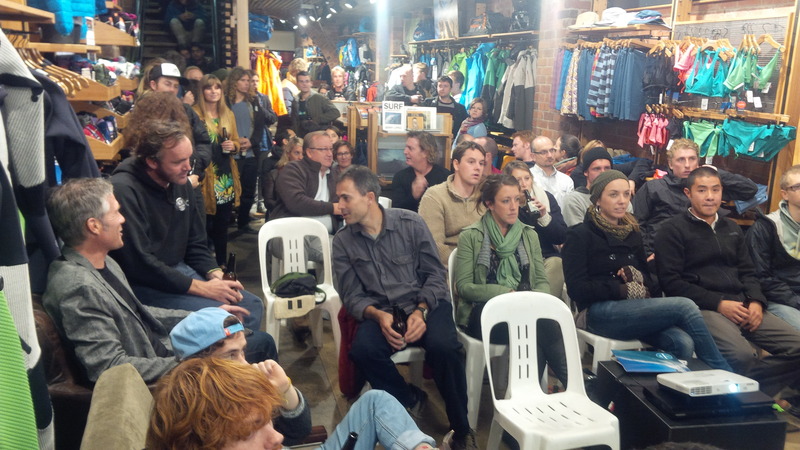 Many thanks to Patagonia Australia for hosting this event. Thanks to Brett and everyone at Patagonia for hosting this showing. We had at least 60 people come along, a great crowd. May 23. Please see poster for details. 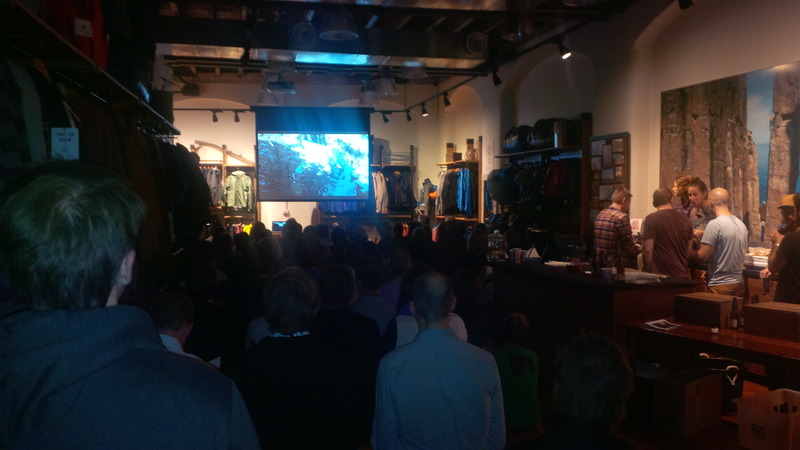 Thanks to Patagonia for hosting a second Melbourne showing at their store in Chapel Street. To book a ticket, please check here. For the first time, the BC film festival is jumping the border into NSW, with a showing planned during the 2nd Splitboard festival. It will be held on the Main Range over the weekend of August 23 – 25. Presented by FirstLight Boards. The film showing will be on Friday August 23. Please register for the Splitboard festival here. FirstLight Snowboards are also bringing the splitboard festival to Victoria – Mt Hotham – over the weekend of September 6 til 8. The film showing will be on friday September 6. At The General Hotel, Mt Hotham, starting at 6. This night will have raffles and give aways, an intro to what is happening with the split board festival, and lots of fun. Check here for extra details. The BC festival is a 90 minute event, featuring primarily short films, all with a focus on outdoor, human powered adventure. Check here for the trailer for this year’s showing. Best of the Backcountry: “Skiing the Void” by Sweetgrass Productions. The Sweetgrass crew contemplates the price of pushing it too far in the ninth installment of their “On The Road” series with Solitaire. Best Grassroots Film: “Alaska Wilderness Ski Classic” by Luc Mehl. This film documents an adventure race through the Brooks Range, Alaska. Covering 200 miles in 4 days, this group of skiers travels from Galbraith Lake to Wiseman, capturing all the beauty along the way. Best Environmental Film: “Stories of Trust” by International Trust Campaign. This tells the story of Xiuhtezcatl Martinez, an 11-year-old boy from Boulder, Colorado. Xiuhtezcatl is asking that our atmosphere be protected, because he fears that the landscapes he most enjoys will not be there for his generation if we continue emitting carbon at current rates. Further. Further is an inspiring effort from renowned snow boarder Jeremy Jones, which the second installment in his snowboard movie trilogy, Deeper, Further, Higher and features backcountry boarding in Alaska. Details here. The festival is run by not-for-profit hosts, and in Australia, all funds raised will support the Friends of the Earth climate campaign. Thanks to everyone who came along to the 2012 Melbourne show. 303 was at capacity, about 90 people. There are plans for shows in winter – in Bright and Falls Creek and Hotham – stay tuned for details. The Melbourne showing is being held in early May. Nine films over 90 minutes, celebrating human powered adventure and the backcountry life. Films cover skiing, boarding, walking, mountain biking and some pretty impressive kayaking. Films start at 8 pm. Please feel free to arrive earlier to grab a drink. There are lots of places to get dinner nearby. The evening should finish at about 10pm. Venue: The festival is being held at the same venue as last year: 303 (303 High street, Northcote, Melbourne), tram stop #32 on the #86 tram. Its just next door to the Northcote Social Club. All funds raised will support Protect Our Winters and the Friends of the Earth climate campaign against new coal and CSG in Victoria. In the high desert of South America, winter takes hold, devouring bleached bones and abandoned shacks. Born in the spires of Argentina’s legendary Las Lenas, a lonely two-year journey begins through an abandoned world. wandering the length of a continent from Peru’s Cordillera Blanca to Chilean Patagonia, Solitaire fuses western-inspired tales of backcountry gambles into landscapes never before visited on film. Powderwhore traditionally produce films with a focus on telemark skiing. 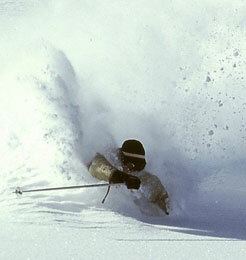 This year: ” Powderwhore is no longer focusing primarily on the telemark turn. BREAKING TRAIL will highlight riders of all disciplines choosing their own backcountry adventures”. Berber Turns. (You tube video available here). Winters of My Life. This is a portrait of Howard Weamer. For the past 35 years he has spent his winters as a hutkeeper in Yosemite’s backcountry. For any enquiries please contact Cam. Event page on Facebook is here. 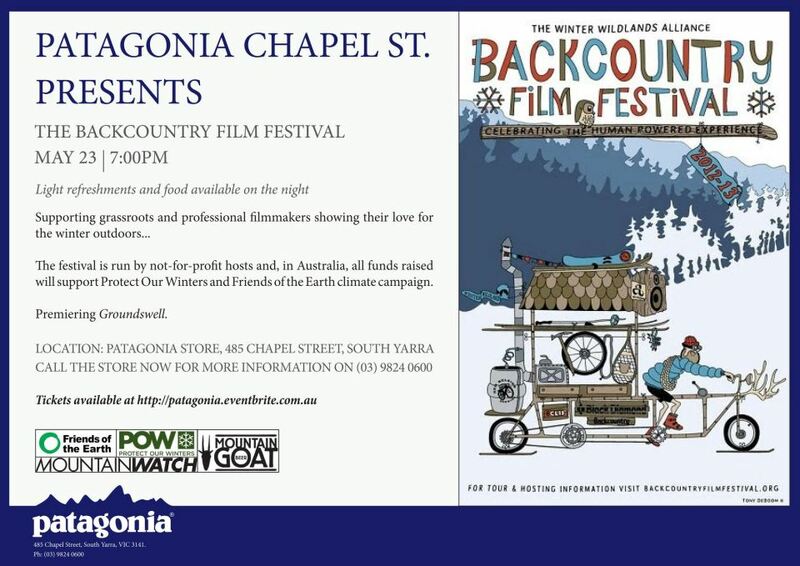 The 2011 season of the backcountry film festival is showing again, this time at Dinner Plain, in the Victorian Alps, on August 9th. This is a free event, a small donation would be welcome. Six films. Drinks available from the bar. Thanks to Hamish at the staff at DP Hotel for hosting the show. Presented by Protect Our Winters. We held the 2011 festival in April in Melbourne. Many thanks to everyone who showed up. We will need a bigger venue next time. There are showings in other parts of the country later in the year, scroll down for details. The Winter Wildlands Alliance created the Backcountry Film Festival in 2005 to help grassroots and professional filmmakers to show audiences their love of the winter outdoors. Since then, the annual festival has been shown in more than 30 towns and cities, and raised thousands of dollars to help efforts to preserve our winter environment. The 2011 film festival is showing in Australia. Films start at 8 pm. Please feel free to arrive earlier to grab a drink. At 303 (303 High street, Northcote, Melbourne), tram stop #32 on the #86 tram. Its just next door to the Northcote Social Club. Protect Our Winters is the environmental centre point of the winter sports community, united towards a common goal of reducing climate change’s effects on our sport and local mountain communities. We believe that to really effect things, consumer behaviour needs to change and that the power of an actively participating and united community can have a direct influence on climate change, now and for generations behind us. Best of the Festival: Teton Gravity Research’s festival cut of “Deeper” follows legendary snowboarder Jeremy Jones and other top riders as they forsake helicopters, snowmobiles and lifts to venture deep into untouched terrain under their own power. For extra information, please check the festival website. * at Mt Buller on 16th July. Snow Monkey has offered a 10% discount card to each person that attends the night. They have shops in Collingwood and Mt Hotham.